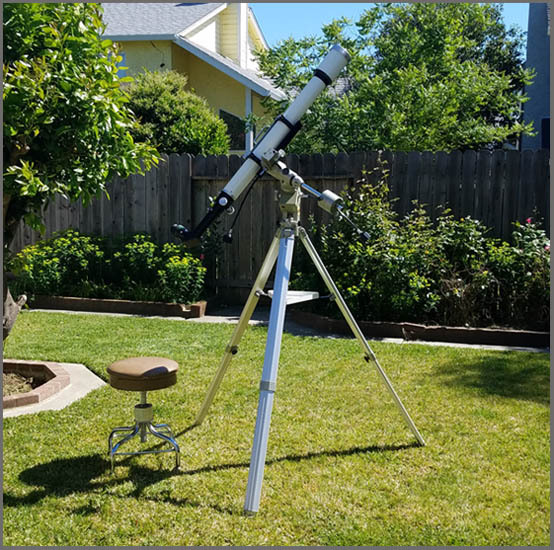 Post a Picture of Your Classic Telescope- with or without you! Edited by Defenderslideguitar, 20 April 2019 - 11:23 AM. Yes I did hear those are scarce. Really beautiful. Bet the views are awesome. 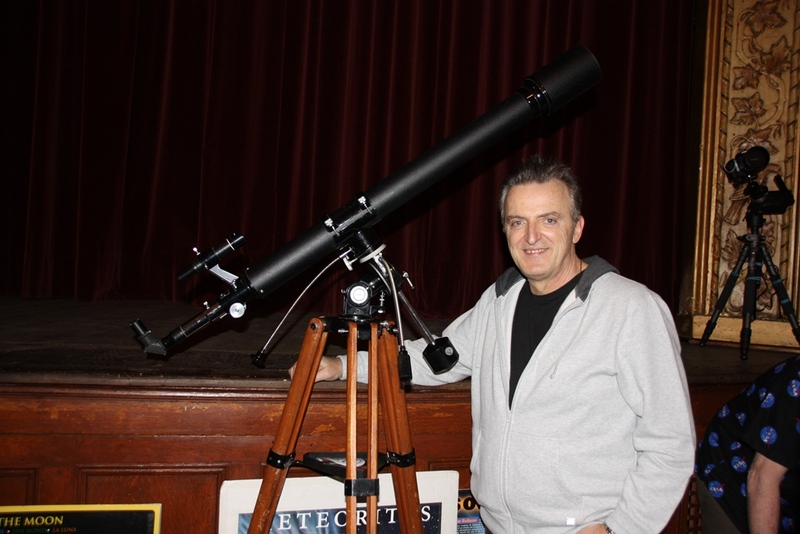 Today I had my immaculate Towa 80mm F/15 out today doing some solar white light observing. Yesterday I was able to just observe Sunspot AR2738 before it rolled out of view and today it was completely gone. It was fun while it lasted. 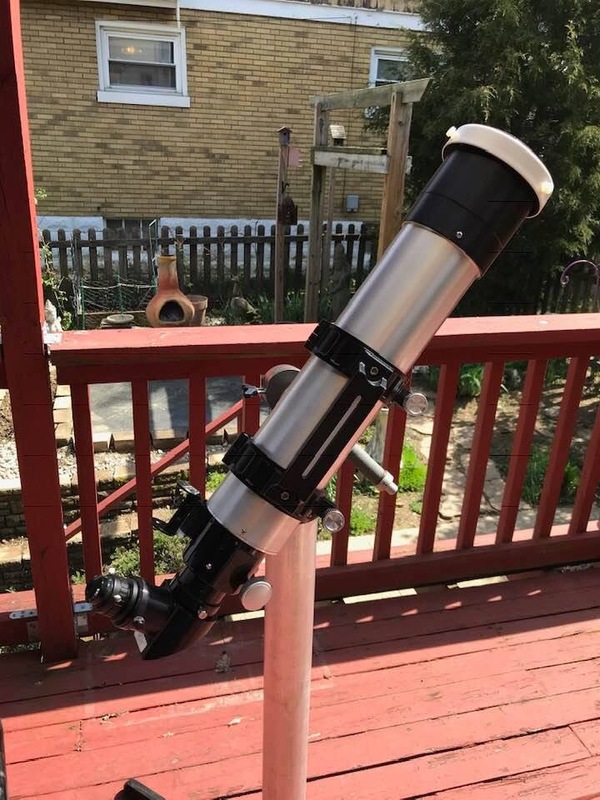 The scope produces incredibly sharp views of the solar surface and when possible, can really take high power well when observing close ups of the sunspots with its long focal length and high quality 2" Nagler and Explorer Scientific 2" eyepieces. 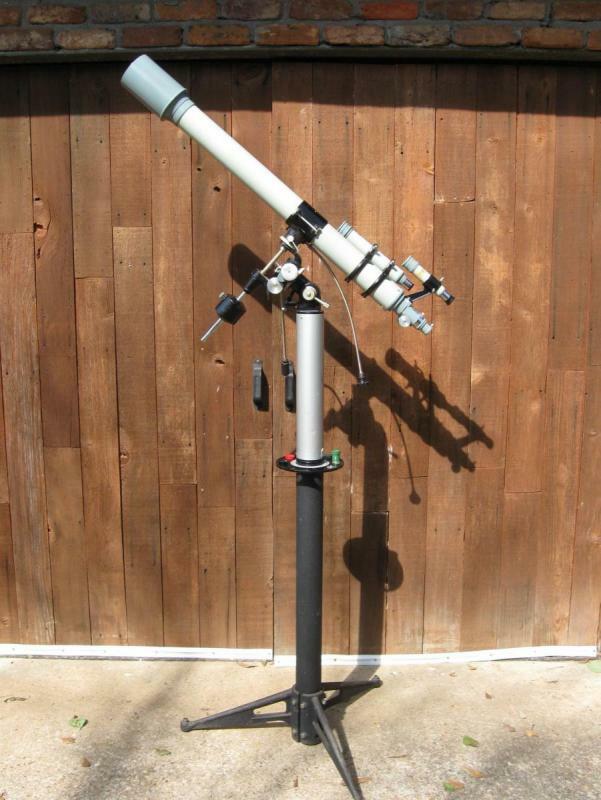 This photo is of my classic scope, another hybrid with my 2" GSO focuser and 2" diagonal and eyepiece. The mount is my Vixen GP-DX with slow motion controls and my Hal 110 tripod legs. 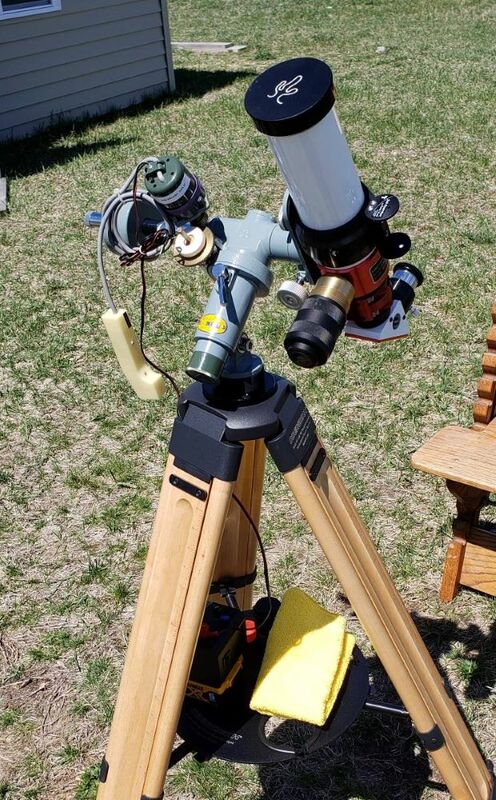 Its a beautiful scope for Solar Observing and a great photo celebrating both Green Earth Month and the Easter Weekend. Edited by aa6ww, 20 April 2019 - 06:55 PM. It was my first "expensive" Classic. So glad I sold the Unitron 142, and kept this uncommon Royal. Edited by Bomber Bob, 20 April 2019 - 10:13 PM. Certainly not just another old telescope for sure. 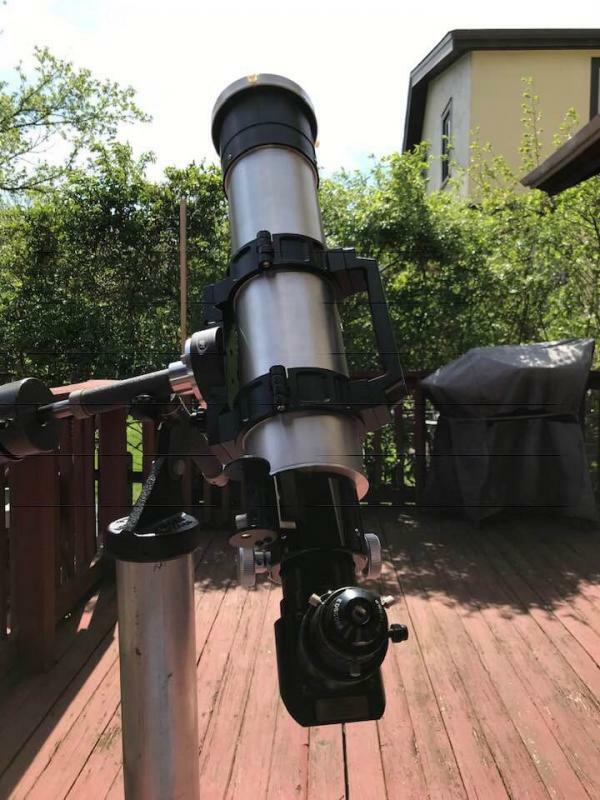 Fun in the sun with the Faworski 4” F6.4 ATM refractor with a classic Japanese Fujinon objective on a rebuilt classic Edmund GEM pedestal mount. Not to mention the amazing optics on the 6336 .. Here is one from the March 30 2019 Earth Hour Public event !! I was out for a bit trying out my Classic Takahashi Sky Patrol mount. Thin clouds are hampering the Ha observing but the mount seems to be tracking like a champ! It uses a 6 volt stepper motor system that I am powering with an adjustable power supply based on DeWalt 20V batteries.. I am going to let it track for a while and see if the sun moves out of the thin clouds. ANIMATIONS: Jove Quadrella+shadow...Trifecta+shadow...heaven help me!